A driver in a designated turning lane doesn’t always mean they’ll turn. The traffic is moderate on your route into town. You ride impatiently because you’re late to meet friends at a neighborhood restaurant. The local traffic is in no apparent hurry, which only adds to your frustration. There are cars turning left onto intersecting side streets with a good deal of frequency. Thankfully there are left-turn-only lanes at many of the side streets so that traffic flow can continue unimpeded. A driver in a station wagon ahead is stopped in one such turning lane apparently waiting for her chance to turn left across oncoming traffic. Cars in front of you continue past on her right. All appears to be normal when the driver of the station wagon suddenly begins moving straight forward instead of turning left. She accelerates without checking her right-hand blind spot where a minivan is positioned. The road narrows ahead, which forces the minivan driver to slam on his brakes to avoid being pinched between the car and the edge of the narrowing road. Your mind struggles to comprehend what’s happening. By the time you react, the distance between you and the van is dangerously close. You apply your brakes with authority to avoid colliding with the van’s rear bumper. and your motorcycle begins fishtailing. Thankfully, you are able to keep the motorcycle upright while stopping just short of the minivan. While control lanes are helpful for managing traffic flow, it’s important to realize that there’s no guarantee that drivers will not change their minds and break the rules to implement their revised plan. 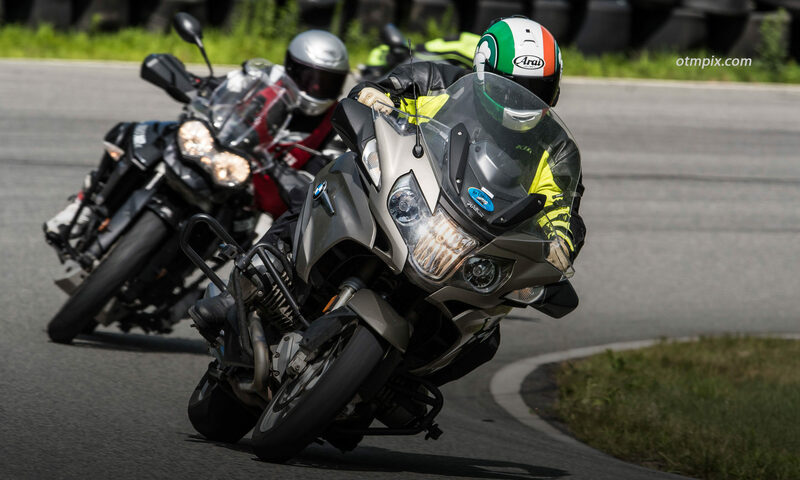 Predicting the unpredictable is something that motorcyclists must do on every ride. It would have been smart to position yourself so you have space around and in front of you to avoid being involved in unexpected mishaps. Also, it’s important to understand the negative effects frustration can have on attention and good judgment. Had you been in less of a hurry, perhaps you could have been more alert and maintained a greater following distance.